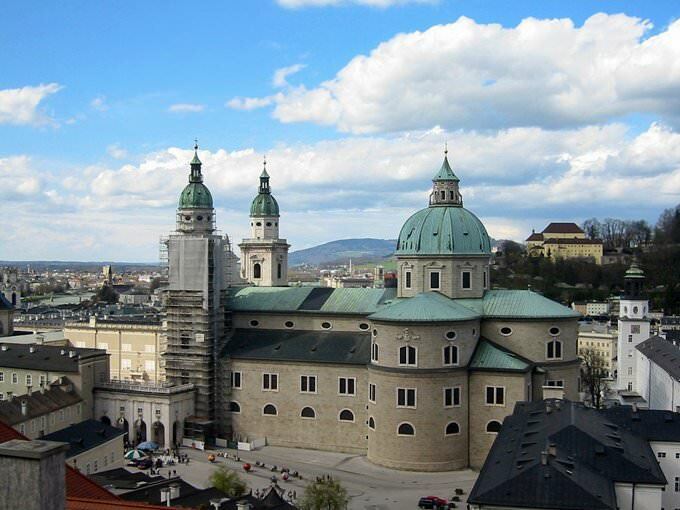 Austria cultural sights. What to see? 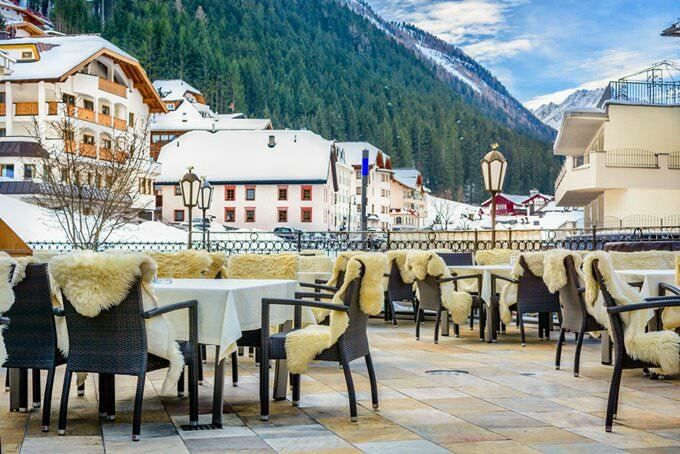 Admirers of historical attractions, colorful festivals, health tourism and sports entertainments come to Austria. The history of Austria as an independent duchy dates back to 1156 when it withdrew from Bavaria. For the next 300 years, the area of the duchy had been constantly increasing. In the first half of the 16th century, it was joined by Croatia and the Czech Republic. In the 18th century, a part of Poland passed on to the duchy. In the late 17th century, Hungary acceded to Austria. Since the beginning of the 19th century, the country saw a lot of wars and political feuds, during which the territorial organization of Austria had undergone significant changes. The economic and political development of the country was seriously impacted by the Second World War, after which the country challenged the times of the Cold War. 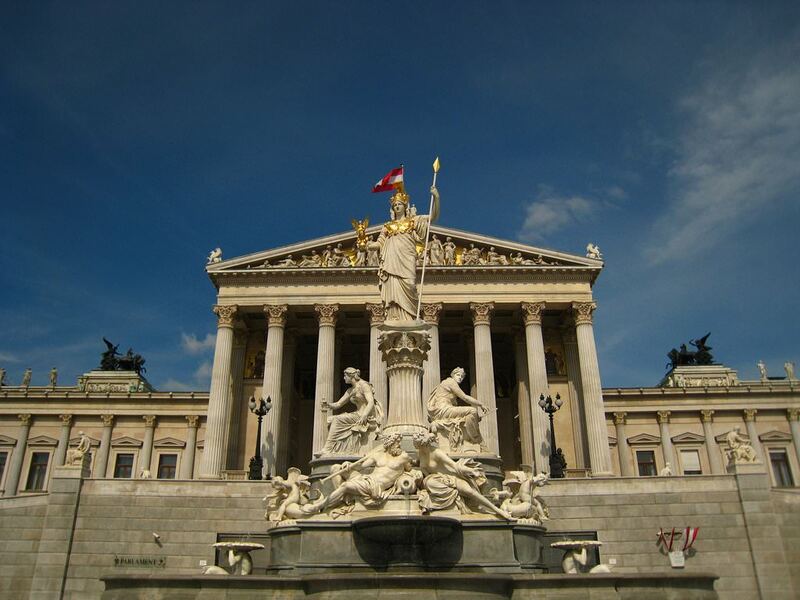 Austrians honor their history. During the year, there are a lot of holidays dedicated to important memorable dates in the country. Over the years, Austria has been notable for food traditions. The main components of the national cuisine are meat and poultry dishes. Some Austrian desserts, for example, apple strudel and Sacher cake, are also popular all over the world. The country is famous for its historical winemaking traditions. 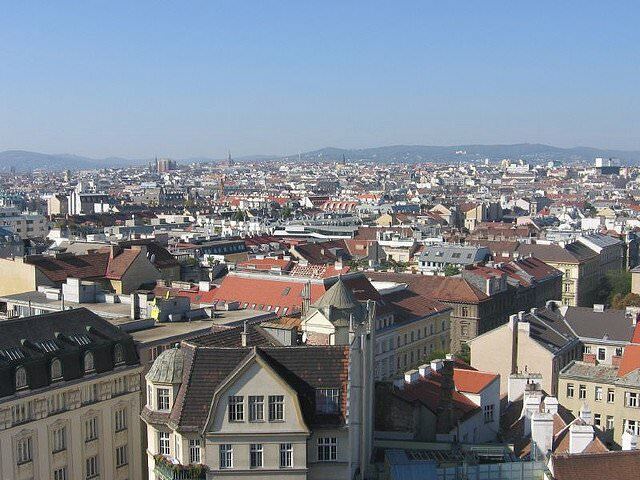 There are old wine cellars called heurigers in the surroundings of Vienna. Here, you can not only enjoy exquisite wines from historical wineries, but also taste the most popular national dishes. 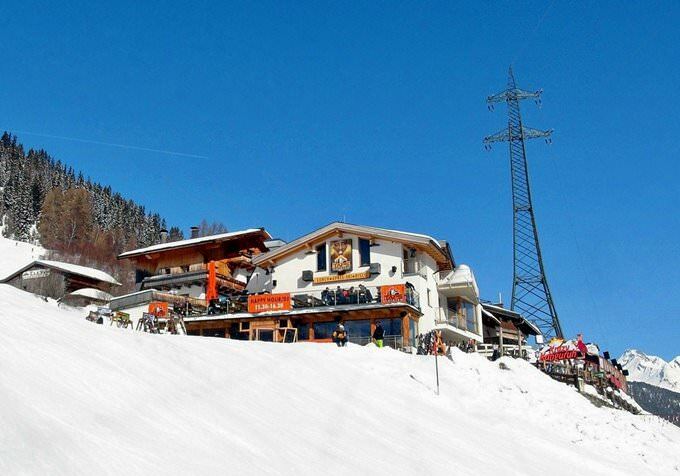 Austria is also known as an amazing place for recreation. There is no sea but Austrian lakes are famous all over the world for their beauty and comfortable beaches. The most popular lakes are in Carinthia. They are small and not deep, so they are quickly warmed up to comfortable temperatures. However, the most part of the state territory is occupied by mountain ranges. Here, at the beginning of the 20th century, upscale ski resorts were opened. At present, they attract usual fans of winter entertainments, as well as professional sportsmen. Some resorts welcome guests all year round. Besides attractive ski routes, there are invaluable nature attractions, marvelous lakes, in the mountains. This article about iconic landmarks and sights of Austria is protected by the copyright law. You can re-use the content, but only under the condition of placement of an active link to www.orangesmile.com. 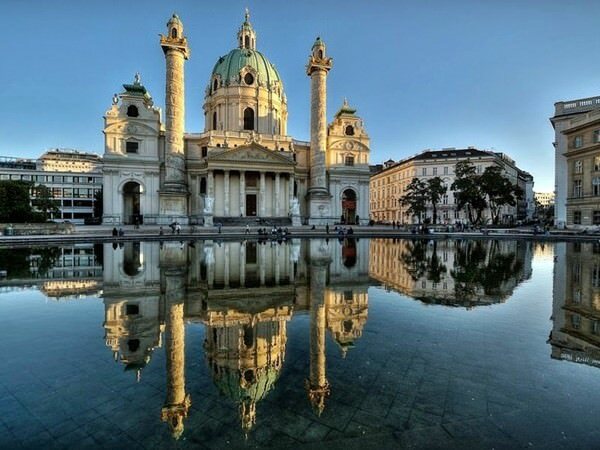 Karlskirche is a baroque church located on the south side of Karlsplatz in Vienna, Austria. The church has a huge turquoise cupola with two high columns. Its high is 72 meters, it was built by order of Karl VI in 1716. At the beginning of the 18th century, Vienna had a terrible plague epidemic. Thousands of locals died because of it. When the epidemy has finished, the emperor ordered to build a church in honour of his patron Saint Charles Borromeo. The building was finished in 1737. At first, the church was quite complex from the architect point of view. There you can see several styles – the columns are made in ancient Roman style, the portico is an ancient Greek style, pavilions are in a baroque style. Hallstatt is a nice Austrian town with popularity about 1 000 people. 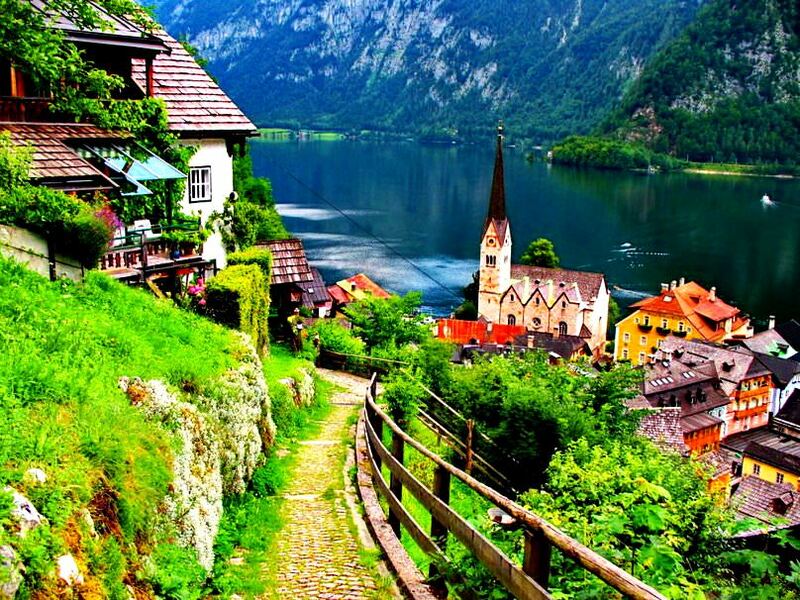 It has placed in a remote mountain area on the shore of Hallstatt Lake. Today this town with all nearby area is included in a list of UNESCO world heritage. In 1311 the world knew about this place. People were attracted by rich salt mines at this region. Mines, where the salt was getting, are the oldest in Europe. At the end of the 16th century locals built there a unique pipeline. 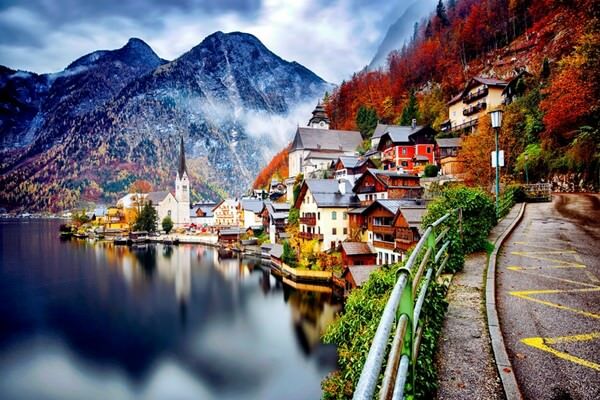 The picturesque town of Hallstatt is hidden in the Austrian Alps. The settlement is located on the shores of the lake. Despite the fact that it’s quite difficult to get to the town, it is visited by thousands of tourists every year. One of the main attractions is the Hallstatt Salt Mine that is one of the oldest in the world. Its development has begun more than 3 000 years ago. In the 19th century, the archaeological research was first carried on the territory of the modern village and its surroundings. In the course of excavations, scientists were able to detect traces of more than 2 000 graves, which were created as far back as the Iron Age. This unique discovery allowed Hallstatt to be considered one of the oldest settlements in Europe.